After I finished painting yesterday I put together a big shopping list which I took with me to Lowe’s this morning. I got some more paint supplies, paint for the shelf, patching tools, and electrical stuff. 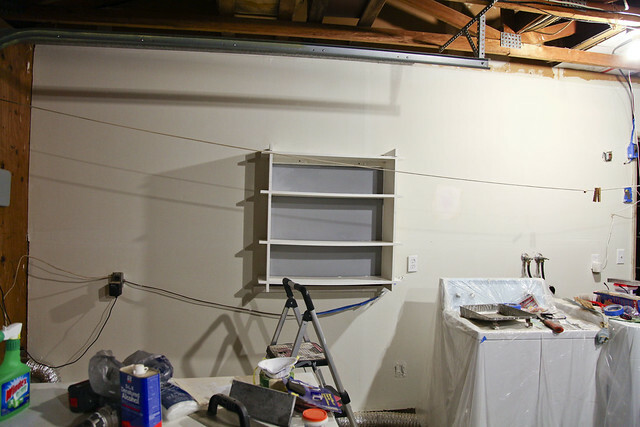 I patched up the two holes in the wall, and while that was drying I began painting the shelf. 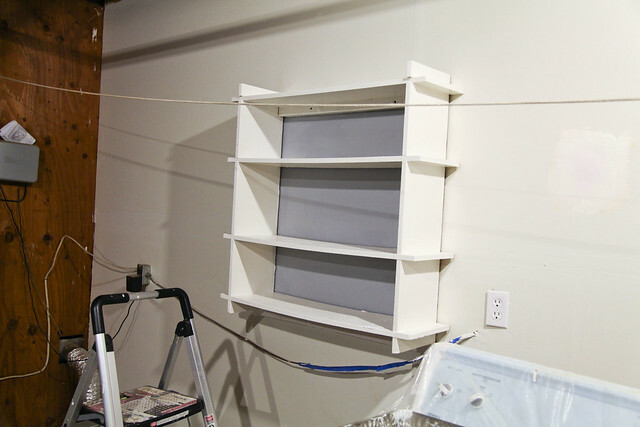 While the paint dried, I went shopping for shelving, bins, etc. that will be put in place once the painting is done and everything gets put back together. Hopefully I’ll be able to start putting stuff back tomorrow!